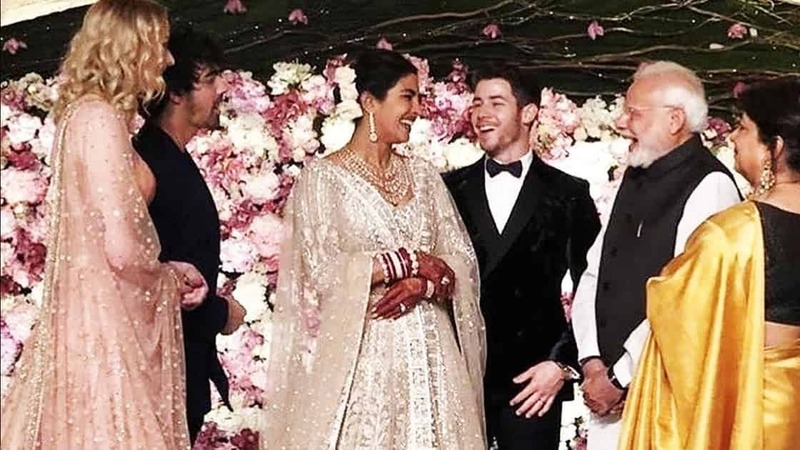 Just yesterday, we got a glimpse of Priyanka and Nick’s wedding photographs as the couple took to their social media to share them with the world. 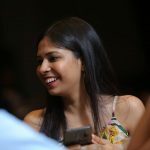 And post their wedding weekend spent lavishly at Umaid Bhawan in Jodhpur, the couple celebrated their first reception at Hotel Taj Palace in Delhi. It was an enormous event where renowned businessmen and politicians were also invited. And one of the most important dignitaries to have attended the event was Prime Minister, Narendra Modi. Earlier there were reports that he had been invited to the wedding too but nothing was confirmed as such. 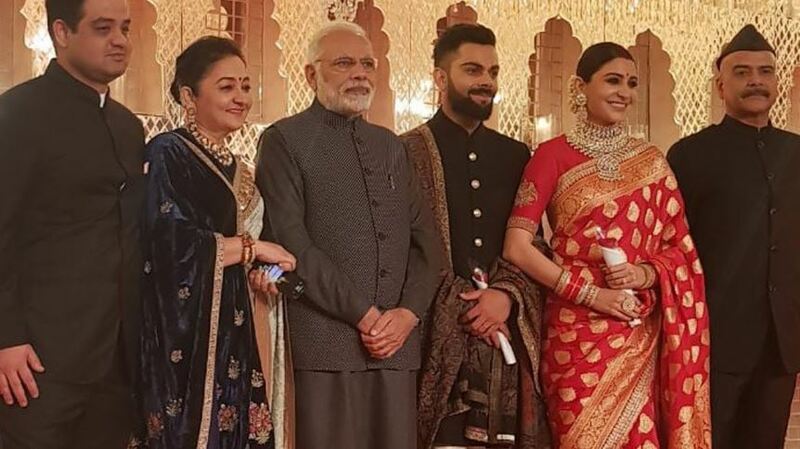 But at the reception, we saw PM Modi getting pictures clicked with the newlyweds. Well, the picture created quite an uproar, for many conservative Indians did not deem it right that the woman should have worn the kind of dress she wore while meeting the PM. Obviously, it had died down sometime later leaving PC unaffected by the incident. 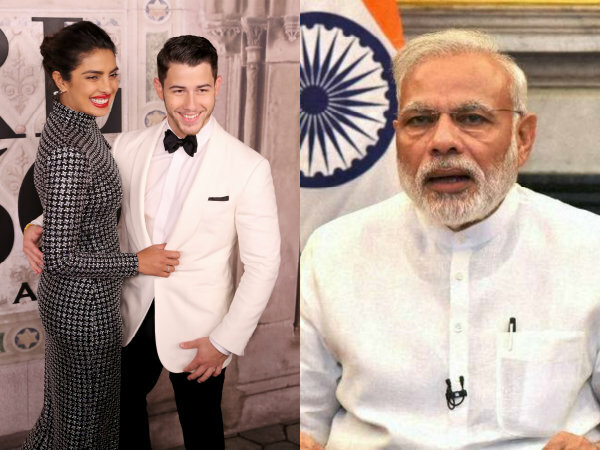 Continuing her sass, Priyanka looked quite comfortable with the PM and was also seen indulging in a small conversation with him on stage. 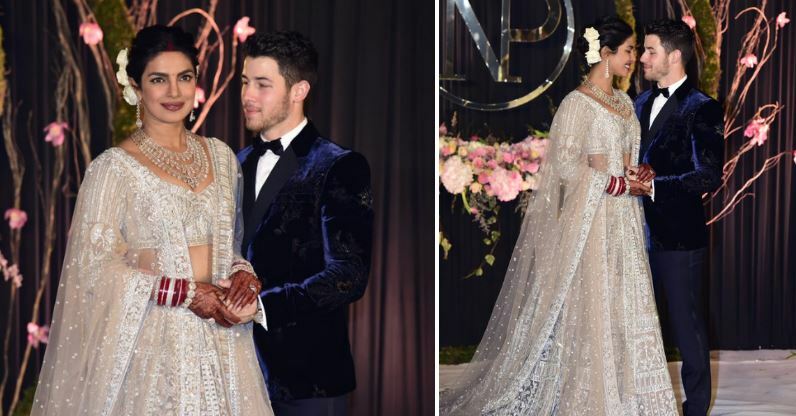 Priyanka in her beige lehenga and tied bun with Nick in a velvet suit looked stunning together. The venue was also decorated beautifully but what caught our attention was the NP logo (the couple’s initials) at the centre of hall, which was also visible in the engagement announcement pictures of the couple. Another couple who has been the highlight of the wedding after the newlyweds is Nick’s brother, Joe Jonas and his fiancée, Sophie Turner. Sophie Turner plays Sansa Stark, an important character in one of the most popular TV show, Game of Thrones which enjoys huge popularity in India as well. Throughout the wedding ceremonies, she opted for traditional attires and this time also, she went for a peach coloured lehenga. 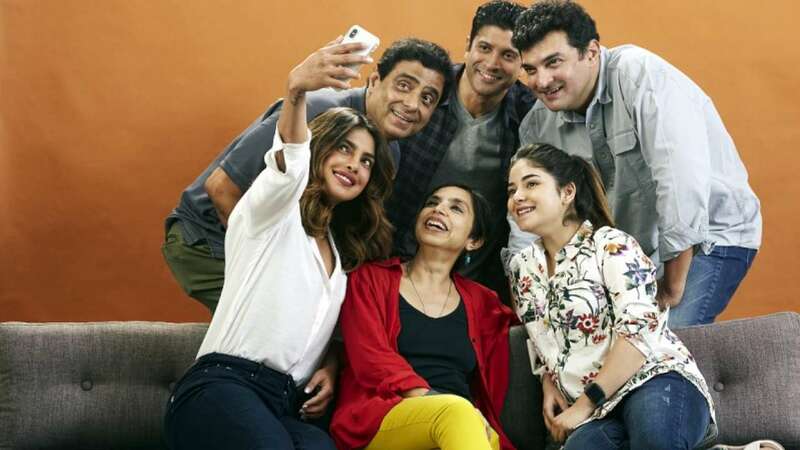 This desi avatar has excited many fans of the show and the actress. The couple looks beautiful together and sure, their forever has just begun!